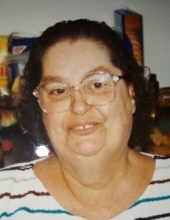 Cooper, Elizabeth Ann, 81, passed away Monday April 8 , 2019 in her home town of Louisville, KY.
Elizabeth was a Christian and enjoyed reading her Bible and other religious writings. She loved Gospel Music and considered the Gaither Vocal Band one of her favorites. She also enjoyed genealogy research, word games and crossword puzzles. However, she loved nothing more than spending time with her family and friends. A beloved mother, grandmother, and great-grandmother, she will be deeply missed by all. Besides her parents and a brother she is preceded in death by her husband (Noah). Survivors include children, David (Sam), Luke (Deana), Dianna McMahan (John), Carol Cahoe (Sammy), Lonnie (Delaine), seven grandchildren, eight great-grandchildren, and her loving sister Laura Brigmon as well as several nieces and nephews. Visitation will be held Thursday, April 11th from 2:00 PM to 7:00 PM at Schmid Funeral Home, 9500 Highway 44 East, Mt. Washington, KY 40047. Funeral service with be held on Friday, April 12th at 10:00 AM with burial to follow at Riverview Cemetery, Cox's Creek in Spencer County, KY. The family wishes to thank Presbyterian Homes Westminster Terrace, Suburban Hospital TCU, and Kindred Hospital SCU for their loving care and support. To send flowers or a remembrance gift to the family of Elizabeth Ann Cooper, please visit our Tribute Store. "Email Address" would like to share the life celebration of Elizabeth Ann Cooper. Click on the "link" to go to share a favorite memory or leave a condolence message for the family.